A stylish wall mounted basin taps set in a contemporary crosshead style. 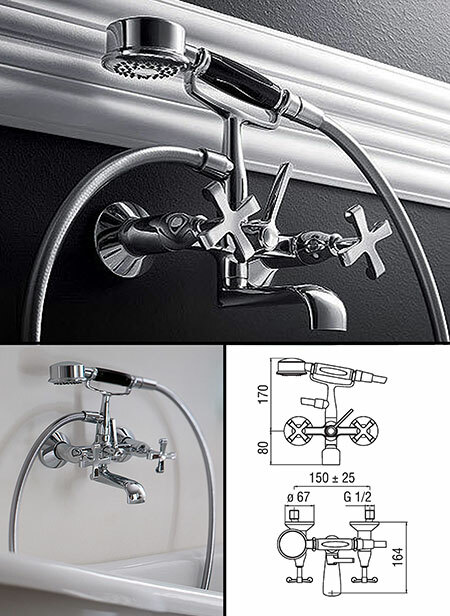 These 3 piece wall taps are beautiful Italian styling and high quality European manufactured. Ideal styling choice for both contemporary and traditional bathrooms. * Solid brass and chrome.